South Mississippi sunshine on white sand beaches, sparkling salt water kissing your face with a fine mist and brightly colored, high-speed boats locked in a test of endurance and skill; Ahh, its Spring! Smokin’ the Sound and Smokin’ the Lake, two of the coasts most anticipated annual events, are once again on the horizon. Draw a speed boat on your calendar for April 25-28 and May 3-5 this year so you won’t miss the thrills that await you at these two world class events. 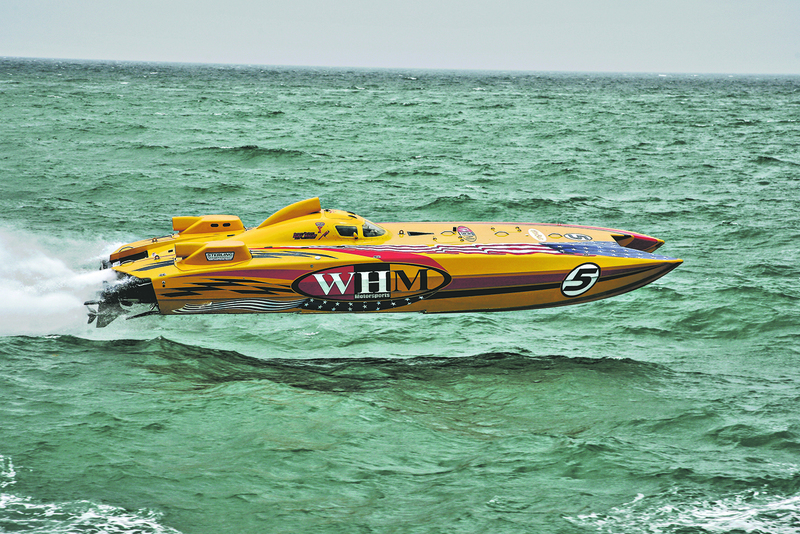 The new sanctioning body of Super Boat International is expecting to bring bigger, faster and more boats to the Mississippi Gulf Coast than you’ve ever seen. SBI will be setting up cameras all along the courses to capture the events as they unfold and stream them live online. One of the best things about this year’s events, considering the economy, is that the prices didn’t go up for tickets! VIP packages still are priced between $250 and $1000 for those who want the up-close and personal treatment. For those of us that can’t afford the VIP sections, Event Coordinator, Woody Bailey, and his crackerjack team have made it as affordable as a mere $5 per day Race Village ticket, a $10 wristband for April 25-28 that gets you in to multiple viewing areas and Race Village during Smokin’ the Sound and a daily $10 pass at The Dock for Smokin’ the Lake. But wait! It gets better. Kids 12 and under will be admitted FREE when accompanied by a paying adult at both events. Some things are new this year that neither Smokin’ event has offered before. There will be a Category 5 Shootout on Friday, April 26th from 11 a.m. to 5 p.m. that features a poker run style boat competition in speed runs and side-by-side racing. Picture drag racing with an extra kick! Also, the events will be covered by a team of television professionals that plan to use the footage and event for an episode of “The Circuit”, a new reality TV show. No word yet as to the network that will carry the show and no air date was given. All we were able to find out is that the Mississippi Gulf Coast and the Smokin’ events will feature prominently into the episode. So, thanks to Woody Bailey, Director of Crusin’ the Coast and the Smokin events, and to Super Boat International, you could be a star! Speaking of being famous, you’ll never guess who’s expected to show up at this year’s Smokin’ the Sound! The Sheik of Qatar himself, Sheik Hassan Al-Thani. The internationally know leader of Qatar has a passion for boats and a need for speed. He races with a throttle man, Steve Curtis, in events all over the world. If you spend some time at Race Village this year, you might just get to talk to his team or even the sheik himself. Race Village is going to be located at the old Tullis Manor property in Biloxi between the George Ohr Museum and Grand Casino. Vendors will be showing and selling boat related products and the Edgewater Rotary is coordinating with other Rotarians in the area to provide all the food and drinks for sale to spectators. Live broadcasts can be heard on 104.9 News Radio and there will be viewing areas set up at casinos and businesses all along Hwy 90 for Smokin’ the Sound. Boaters are encouraged to watch the events from their own water crafts. Captains can rest easy because the course will be cordoned off so private pleasure craft won’t be in danger. Don’t forget to bring your sunscreen and keep a hat on the kiddies! We’ll see you at both Smokin’ events.